Commemorations will take place later this month to mark the 100th anniversary of the final journey of the World War One Jellicoe Express. A team of specially-trained detection dogs – the first of their kind in the country – are to be tasked to sniff out stoats on Orkney. A “supermum” crane from Aberdeenshire has helped boost the number of birds in the country to record levels. A storm petrel chick has been recorded on a small group of islands in the Minch for the very first time – just months after the remote isles became rat free. A £6million scheme to eradicate stoats from Orkney to save the rest of its wildlife population has been approved. The number of crimes against birds of prey in Scotland has fallen to its lowest level in years. Scottish Ministers have “called in” the controversial Coul Links golf course proposal. Two fields at the most northerly point on mainland Britain have been gifted to bird charity RSPB Scotland. Three-month-old chicks have become the first white-tailed eagles to take flight over in Orkney in almost 150 years. People in Scotland have been urged to introduce a pond or pool to their garden after a new study revealed toad and frog sightings have decreased. A white-tailed eagle chick has successfully hatched in Orkney – for the first time in 140 years. A wildlife initiative has received a funding boost to help cement Aberdeen’s reputation as one of Europe’s best places to view bottlenose dolphins. An ambitious £3million plan to completely eradicate predatory non-native stoats in Orkney has moved a step closer after winning overwhelming public support. A massive bird watching survey across the north of Scotland has found a surge in the number of goldfinches. 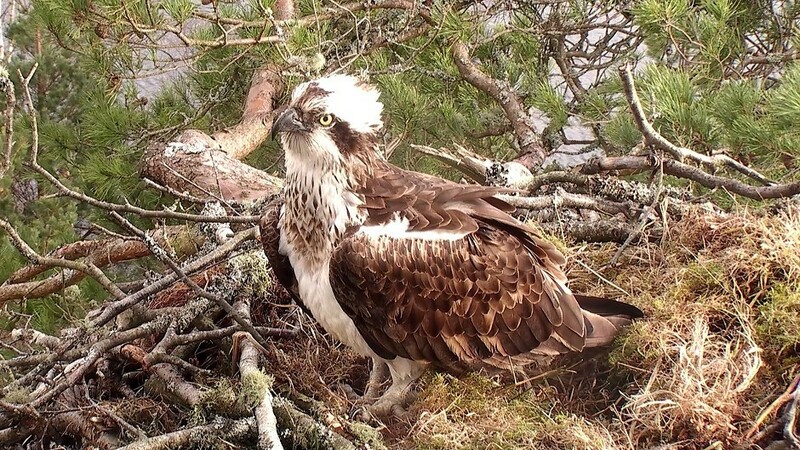 An infamous love cheat osprey has returned to the Highlands after a 3,000 miles journey to her nest. Plans have been submitted for a new outdoor viewing platform in the heart of the Flow Country in northwest Sutherland. A petition opposing plans for a new golf course at Coul Links has been signed by more than 84,000 people, two weeks before the deadline for objections. The developer behind a proposed new Sutherland golf course claims RSPB Scotland has ignored its plans to stop the shooting of protected birds at the site. A north councillor has claimed objectors are exaggerating the impact on bird life at the site of of a proposed new golf course in Sutherland. Conservation groups have lodged a joint objection to plans for a new Highland golf course. An investigation has been launched after a rare bird of prey disappeared from a Deeside estate. What is the ‘Pufferazzi’ and how can you get involved? Animal lovers are being urged to take a bird's eye view of one of Scotland's best-loved winged creatures. Members of the north-east are being urged to report sightings of ospreys to a national charity. A coalition of environmental charities has backed action to control deer numbers, ahead of a Holyrood debate on Tuesday.